This article is about the island. For the municipality, see Bantayan, Cebu. Bantayan Island is an island located in the Visayan Sea, Philippines. It is situated to the west of the northern end of Cebu island, across the Tañon Strait. According to the 2015 census, it has a population of 120,447. The island area is 108.77 square kilometres (42.00 sq mi). The island is mostly covered with coconut palms; the elevation is mostly below 10 metres (30 ft), with only one taller hill, at 26 metres (90 ft), in barangay Atop-atop. Bantayan is the main and largest island of the Bantayan island group that lies close to the geographical centre of the Philippine archipelago. The island group includes numerous smaller islands (some uninhabited or uninhabitable), mostly around the southwest corner of the island. About 20 of these islets stretch for about 8 kilometres (5 miles) southwest from Bantayan municipality port area, with some nearer ones being accessible on foot from the main island at low tide. The islands are beside the busy shipping lanes for ships and ferries coming from Mindanao or Cebu City on their way to Manila. The islands are all small and green and low, virtually indistinguishable one from another. 6 Hilantagaan Dyot, brgy Hilantagaan, Santa Fe, seen from W.
7 Sunset over Hilutungan, seen from E.
NB In addition, Guintacan Island (or Kinatarkan, Batbatan) to the northeast is part of Santa Fe municipality although it is not part of the Bantayan islands group archipelago. The Bantayanon language is mostly a mixture of different neighbouring Visayan languages: The principally native Cebuano (from Cebu and Eastern Negros) and Hiligaynon (from Western Negros and Iloilo), Boholano (from Bohol), Masbateño (from Masbate) and Waray-Waray (from Leyte and Samar). However it has its own words such as "kakyop" (yesterday), "sara" (today) and "buwas" (tomorrow). The climate is typically equatorial – temperature range over the year is less than three degrees Celsius (5.4 deg F), and annual rainfall exceeds 1,500 millimetres (59 in). January to April inclusive are less wet than the other months. This supports at least two rice crops per year. The climate in Bantayan falls within Coronas climate type IV, characterised by not very pronounced maximum rainfall with a short dry season from one to three months and a wet season of nine to ten months. The dry season starts in February and lasts through April sometimes extending to mid‑May. Bantayan has a tropical climate. Most months of the year are marked by significant rainfall. The short dry season has little impact. This location is classified as Am (Tropical monsoon climate) by Köppen–Geiger climate classification system. Carcar formation is typically a porous coralline limestone characterized by small sinkholes, pitted grooves, and branching pinnacles. This suggests in situ deposition. Its dominant composition are shell, algae, and other carbonate materials, while macro and micro fossils are found abundant in its formation. Alluvium is mostly found in coastal areas. Calcareous sand derived from the weathering of limestone mostly makes up the tidal flat. This appears as fine to coarse-grained sand mixed with shell fragments. As a consequence of the geology, water supplies are hard. Bantayan and its surrounding islands have been included in several pieces of legislation giving protected status. After 2013's Typhoon Yolanda, there has naturally been a need and desire for reconstruction, however one major problem is that because of the designation, there is little land titling, and international relief organisations (and others) are reluctant to fund construction on land where title does not exist. 2014 has seen[update] the start of initiatives to define the area, and to devise a general plan for its management (BIWA-GMP). That plan recommends retaining only 596.41 ha (1,473.8 acres) as strictly protected wildlife reserves, or 5.3% of the original BIWA, and allowing multi-use zoning of 10,648.27 ha (26,312.4 acres). [d] From that has arisen a more concrete proposal regarding reclassification. Now[update] the plan is to be recommended to Congress. Presidential proclamation no. 1801 of 1978 established Tourist zones and marine reserves, and placed the island of Hilutungan within its scope. The Tañon Strait protected seascape was established by President Ramos under proclamation no. 1234 of 1998. This includes more than 29,187 m (29 km; 18 mi) of the eastern shoreline of Bantayan island. In February 2015[update], 17 years after its declaration, the first summit on the Tañon Strait protected seascape is to be held. The dominant uncultivated vegetation is ipil-ipil (Leucaena leucocephala). Cultivated crops include coconut, cassava, banana, sugarcane, corn and mango. The common wolf snake can occasionally be found on the island. The following list shows birds whose presence has been verified. Beach scene at Kota Beach with Cebu in the distant background. The coast of Bantayan and its islands mostly alternates between mangal and palm trees. Because of the shallow slope on the shelf, the intertidal area can be quite extended, leading to rocky and muddy shallows at low tide. This means that places with a sandy shore – a beach – are infrequent. Good beaches can be found in the southeast around Santa Fe, and in the northwest at Patao and Madridejos. Even these though are not cleaned, and depending on the currents there can be considerable amounts of flotsam and jetsam on the beach and in the sea. Of the approximately 500 varieties of coral known worldwide, about 400 are found in the Philippines. However their future is seriously threatened – mainly due to destructive fishing techniques, such as blast fishing and cyanide fishing, which indiscriminately destroy much of the ecosystem, including the coral reefs. In addition, global warming and ocean acidification also contribute significantly to worldwide loss. Globally coral sees 50%–70% threatened or lost; southeast Asian coral reefs are in even worse condition, and it is estimated in the Philippines the figure under threat is greater than 90%, with less than 1% in good condition. Until now proper compliance of international laws has been poor, although it is starting to be taken seriously. Meanwhile, other efforts are under way in Bantayan to accelerate the regrowth, using coral farms. There are many starfish to be seen in the intertidal area. Their detrivorous diet helps keep the water clean. Further out though, the crown-of-thorns starfish is a considerable threat to the coral reef, because of its voracious hunger for the coral. Mangroves are salt-tolerant, woody, seed-bearing plants that are found in tropical and subtropical areas where they are subject to periodic tidal inundation. The Philippines has over 40 species of mangroves and is one of the most biodiverse regions in the world as there are only about 70 species of mangroves worldwide. The mangrove ecosystem is a very diverse one and is home to many birds, fish, mammals, crustaceans and other animals. Mangroves provide an important nursery for fish, shellfish and other organisms. It is estimated that each hectare of mangrove can provide food for 1,000 kg of marine organisms (890 lb/acre). With this abundance of food for fish present in the mangroves, each hectare of mangal yields 283.5 metric tons of fish per year (112.9 long ton/acre). Mangroves also provide other important functions such as preventing soil erosion and protecting shoreline from typhoons and strong waves. Mangroves provide many other products and services such as medicines, alcohol, housing materials and are an area for research and tourism. However even with all of these known benefits the state of mangroves within the Philippines is very dim. In the early 1900s there were approximately 5,000 km2 (1,900 sq mi) of mangroves but today there are only about 1,200 km2 (460 sq mi). Many of the mangrove areas were destroyed to make way for fishponds and reclamation areas. They were used indiscriminately for housing – both building materials and reclamation – and were disturbed by siltation and pollution. Now that the true benefit of these ecosystems is known there is protection and rehabilitation of these important ecosystems. It is now illegal to cut down mangroves for any purpose and local governments and community organizations have taken active roles in planting and managing mangrove plantations. There is hope that in the future mangroves will return to the healthy status that they once held. There are almost no physical records nor evidence to indicate when the first people came to Bantayan, nor their places of origin. Some believe they can be traced back to Panay, others believe that the bulk of them were of Cebuano origin, and still others say they came from Leyte and Bohol. There is little documentary evidence of life and culture before the arrival of the Spanish conquistadores. What we know of them is gathered from handed-down accounts and folklore. The early people were said to be timid. They did not travel and knew little of places away from their homes. They wore little clothing because the climate did not need it. The abundance of fish, wild games, wild fruits and tuber, such as ba-ay, hagmang,[i] bailacog, and kiot, made the people do little more than make clearings on which to plant corn, camote (sweet potato) and other vegetables. Large and small trees grew and spread, shading the ground all year round with their heavy foliage. Vines and creepers climbed the trees hanging from bough to bough; cultivation of open land was difficult. During the period 1565–1898 the Philippines was a Spanish colony, part of the Spanish East Indies. The parish church was established in 1580 – as an encomienda of the heir of Don Pedro de Gamboa. Island of Bantayan. About two leagues[k] north of the island of Çubu lies the island of Bantayan. It is about eight leagues in circumference and two leagues wide, and has a population of about one thousand Indians; this and the above-mentioned island of Vohol[j] are under the charge of one encomendero. Its inhabitants are well-disposed. They have large fisheries, for there are many shoals near the island. There is also a pearl-fishery, although a very small one. The land produces millet and borona, but no rice, for all the island has poor soil notwithstanding that it is level. Some of the natives of this island cultivate land on the island of Çubu, which, as I have said, is two leagues away. The island abounds in excellent palm-trees — a growth common to all the Pintados islands, for all of them abound in palms. Another kind of slavery. There is another kind of lordship which was first introduced by a man whom they call Sidumaguer — which, they say, occurred more than two thousand years ago. Because some men broke a barangay[l] belonging to him — in Languiguey, his native village, situated in the island of Bantayan — he compelled the descendants of those who had broken his barangay to bequeath to him at their deaths two slaves out of every ten, and the same portion of all their other property. This kind of slavery gradually made its way among all the Indians living on the coast, but not among the Tinguianes. Writing in 1588, Domingo de Salazar reported: "The island of Bantayan is small and densely populated. It has more than eight hundred tributarios, most of them Christians. The Augustinians who had them in charge have abandoned them also, and they are now without instruction. This island is twenty leagues from Zubu." Some time in 1591, Bantayan's population totalled 683 tributes representing 6732 persons. Religious were established in the island of Bantayan, located between the island of Panay and that of Sugbú,[n] but farther from that of Panay. However, if one wishes to go to the island of Sugbú without sailing in the open sea, he may coast from islet to islet, although the distance across is not greater than one or one and one-half leguas. [k] These Bantayan islets are numerous, and are all low and very small. The largest is the above-named one. When Ours acquired it, it had many inhabitants, all of very pleasing appearance, and tall and well-built. But now it is almost depopulated by the ceaseless invasions from Mindanao and Jológ. He goes on to say: "This island has a village called Hilingigay, which it is said was the source of all the Bisayan Indians who have peopled these shores, and whose language resembles that of Hilingigay." During the time of 22nd Governor-General Sebastián Hurtado de Corcuera,[o] the Visayans were continually harassed by Moro pirates who came on raids to capture slaves. 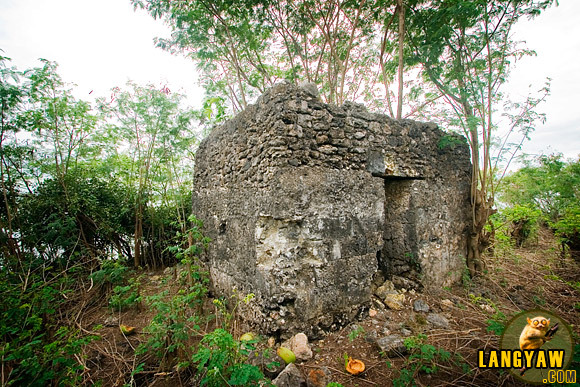 Consequently, tall stone walls and watchtowers were built in different parts of the archipelago, for refuge and protection from Moro aggression. Popular folklore says that these watchtowers were known locally as "Bantayan sa Hari", meaning "Watchtowers of the King", and they served as lookout towers for incoming vintas (Moro pirate vessels). In the course of their vigil, it became common to say, "Bantayan! Bantayan! ", meaning, "Keep watch! Keep watch! ", and that was how this island-group got its name. That at Madridejos is in fair condition, that at Santa Fe less so. There is a particularly fine example on Doong island. The abundance of fish, favourable climate and virgin soil then greatly determined the occupation of the people. These geographical factors became strong stimuli for the people to be fishermen, farmers and sailors. Much later, the small clearings were expanded to fields. The old Spanish roads connecting Santa Fe, Bantayan, and Madridejos were constructed chiefly through the services of labour and partly supported by the tribute funds. When the Spaniards came to Bantayan, the people already had some form of religious convictions and worship, such as animism, shamanism, evocation and magic. They easily conceived the idea of evil spirits, good spirits, witches and ghosts. In order to please these imaginary creatures people often resorted to charms, vows, sacrifices and self-harm. It was a common belief among the illiterate people of the past that cholera and other fatal diseases were caused by poison which an evil spirit had put into the wells and that the people could be saved from the dreaded disease only by chanting prayer and holding processions. The cooperation between the church and the state did not last very long. Quarrels between the church and the state ensued. There was struggle for political power, from the Governor-General down to the alcalde mayors on one hand and from the archbishop to the friars on the other. Because of this, projects for improvements were all paralysed. On 4 January 1899, following the defeat of Spain in the Spanish–American War, a new government was born to the Philippines. With instructions from President McKinley, General Otis, who commanded the US Army in the Philippines, declared that the American sovereignty must be recognized without condition. This was the beginning of the American period. This island-group did not taken any active part in the revolution against Spain or America. However, after the Filipino–American War, a reactionary group was organized, headed by Patorete of Santa Fe, then still a barrio of Bantayan. Their announced purpose was to resist the invaders, but the armed goons carried a campaign of terror burning the northern part of Santa Fe, plundering and forcing Capitan Miroy and Aguido Batabalonos to join them. This resulted in great fear and tension among the inhabitants. The condition of the barrios, after the overthrow and immediately preceding the arrival of the Americans, in general, was very far from satisfactory. Sanitation was entirely a stranger; barrio life was dreadful. There were few signs of improvement among the people since their primitive ancestors. Committed to the task of administering the newly organized municipal governments were the first presidentes of the three towns comprising the island-group namely: Gregorio Escario for Bantayan, Vicente Bacolod for Madridejos and Casimiro Batiancila for Santa Fe. Political parties were formally organized since the early days of the American regime. Partido Liberal came towards the end of 1900. Pascual Poblete founded the Partido Independista in 1902. During the administration of Governor-General Luke E. Wright (1904–1906), the public road policy was inaugurated. Little by little the stage trails were changed to roads of more durable construction. Late in 1913 the construction of Santa Fe—Bantayan road began and in 1918 the Bantayan—Madridejos road followed; both were completed in 1924. Then and now, fishing and farming were important industries of the people, but from the year 1903 to 1925, weaving of piña cloth and the gathering of maguey fibre were very lucrative pursuits of the people. Over the years demand for these products weakened and died out. At about the same, hand embroidery termed as "spare time industry" came in. A good number of women adopted it and were actively engaged in it for some years. The local output was quite significant. In 1923, because of weak and unsettled market conditions, particularly in Manila, the business gradually disappeared. Bantayan islands are considered Cebu's fishing ground from where boatloads of fish – guinamos (salted fish) and buwad (dried fish) – are transported daily to Cebu and Negros for consumption and further distribution to as far as Mindanao and Manila. Equally important is the thriving poultry industry with hundreds of thousands of chicken eggs produced daily. Years ago, poultry raising was mainly a backyard affair. Today it has grown into a large scale and highly specialized industry. Big poultry farms are located near the national and feeder roads. In excess of one million chickens are kept in yards and specially constructed barns with more than half a million eggs gathered every day. These eggs are exported to Cebu, Manila, and Mindanao and other towns and cities in the Visayas. This industry, along with copra making, tubâ gathering and fishing, has helped Bantayan solve its unemployment problem. The island can be reached via ferry services from Hagnaya (San Remigio) to Santa Fe, and from Estancia, Iloilo and Sagay to Bantayan municipal port. Bantayan Airport handles infrequent flights from chartered planes usually arriving from Mactan‑Cebu International Airport. Goods are shipped through Bantayan municipal port. There is also a small dock in Baigad capable of handling small pumpboats. However it is in a very poor state of repair, and hasn't handled any vessel since 2007. In view of the relatively high population of the island, and its growing popularity as a tourist spot, a bill has already been presented in Congress for the establishment of a 100‑bed tertiary‑level hospital. Currently the nearest available tertiary care is in Cebu City, four hours travel by land and sea. Even the level‑1 facility available in Bogo takes at least 1½ hours travel. The first school in Bantayan, called the "Gabaldon School", opened in 1915. Public high schools on Bantayan are located in the municipalities of Bantayan, Santa Fe and Madridejos as well as on Doong island. There are also private high schools and tertiary colleges such as Bantayan Southern Institute and Salazar College. St Paul Academy (SPA) is a private high school in Bantayan municipality. As is common through the Philippines, 'sport' is synonymous with cockfighting. It is an unusual sport in that the winner dies as well as the loser. Large sums are bet on the outcome of a fight, which usually lasts little more than one minute. The birds themselves can look magnificent for their few brief moments of stardom, with purple-black plumage and a gold ruff. There are several sports centres (cockpits) on the island. Smaller puroks just have an open-air arena. 1580 The Augustinians established the Parish of Bantayan as a convent under the patronage of La Asuncion de Nuestra Señora (The Ascension of Our Lady), a mission-station of the friars in the Visayas and thus the first parish in Cebu province and one of the few parishes still in existence outside Mexico which were once a part of the Archdiocese of Mexico. 1603 The Augustinians relinquished the administration of the church to the secular clergy. During the time of Bishop Pedro de Arce, Daan Bantayan (also Daanbantayan) and the nearby villages located in northern Cebu were placed under the administration of the parish,[u] followed by the island of Maripipi. 1628 The biggest Moro attack took place when a fleet of vintas attacked, killing or abducting more than 800 natives mostly from the village of Hilingigay, now barangay Suba, and burning down the church. [v] Juan de Medina wrote that the priest and a few Spanish residents tried to defend but had to run and hide after running out of ammunition. 1754 Moro raid left the church and community in ashes. 1790‍–‍1796 Severe famine after crop failure. Not even a grain of corn could be had but the people subsisted upon amorseko (crab grass) which continuously grew on the walls of their nipa huts. 1860 The first casa real was constructed (now Municipal Hall). 1864 Following the Education Decree of 1863, the first Spanish school (for boys) was established under the direct supervision of the curate where religious instruction was instilled. 1894 The entire barrio of Ticad was razed to the ground by fire. Only the stumps of the posts could be seen above the ground. First local election in Bantayan. Gregorio Escario, who had been appointed as first "Presidente", now won the election by a small margin over his rival. 1908 Smallpox epidemic, eventually controlled by complete vaccination. 1910 The first motorized boat, MV Carmela, was owned by Yap Tico. [y] It served the Bantayan–Cebu route. It also brought merchandise to and from Bantayan until it was destroyed by the typhoon of 1912. 1912 Typhoon, which took hundreds of lives in addition to work animals and agricultural crops that were destroyed. 1913 Construction of the present Bantayan–Santa Fe road began. 1915 As a result of Public Act 1801, [z] the main building of Bantayan Central School was built. 1918 Construction of the Bantayan–Madridejos road began. 1923 The first car came to Bantayan island – a second-hand Dodge owned by Kapitan Casimiro Batiancila of Santa Fe. 1924 The whole road construction project linking Santa Fe, Bantayan and Madridejos ended. 1927 Bantayan Postal Office was opened within the municipal building. 1935 Beer was first distributed in Bantayan. 1961 Oil explorers came to Bantayan to dig the first oil well somewhere within Patao and Kabac. A fire that started in San Pedro Bakery gutted 17 houses and claimed the life of one person. 1973 Fire broke out which destroyed almost the whole section of Suba, razed the entire public market and rendered more than 700 families homeless. 1978 Death of Isidro R. Escario, who had been mayor of Bantayan since 1937 apart from the war. His funeral procession and wake drew thousands: people were seen queueing one kilometre away from the wake. 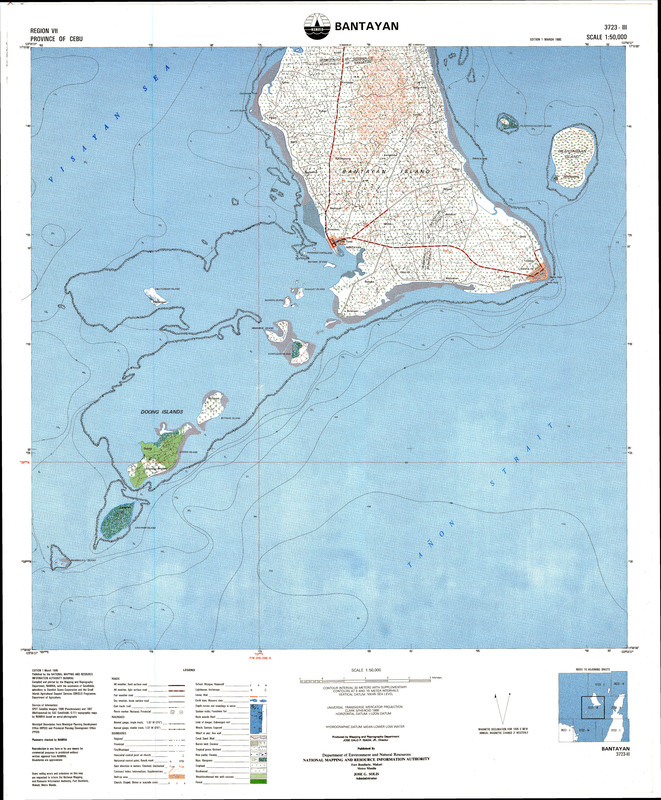 1981 Presidential decree nominates Bantayan as a National Protected Area: Wilderness area. 1997 Death of Antonio Ilustrisimo (born Bantayan 1904). He was a Master of Kali Ilustrisimo – his own development of the eskrima he learned from his father. 2010 Lipayran island hit by tornado – 15 shanties destroyed and seven damaged. ^ Islands have several names, according to speaker's language. 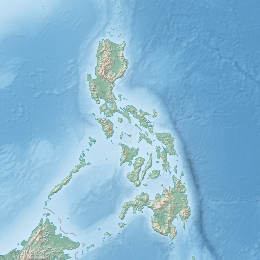 First name shown is as it appears on the NAMRIA topographical map. Some of the smallest islands are not named on map. ^ Wilderness area is a protected area that is created and managed mainly for purposes of research or for the protection of large, unspoiled areas of wilderness, whose primary purpose is the preservation of biodiversity and as essential reference areas for scientific work and environmental monitoring. 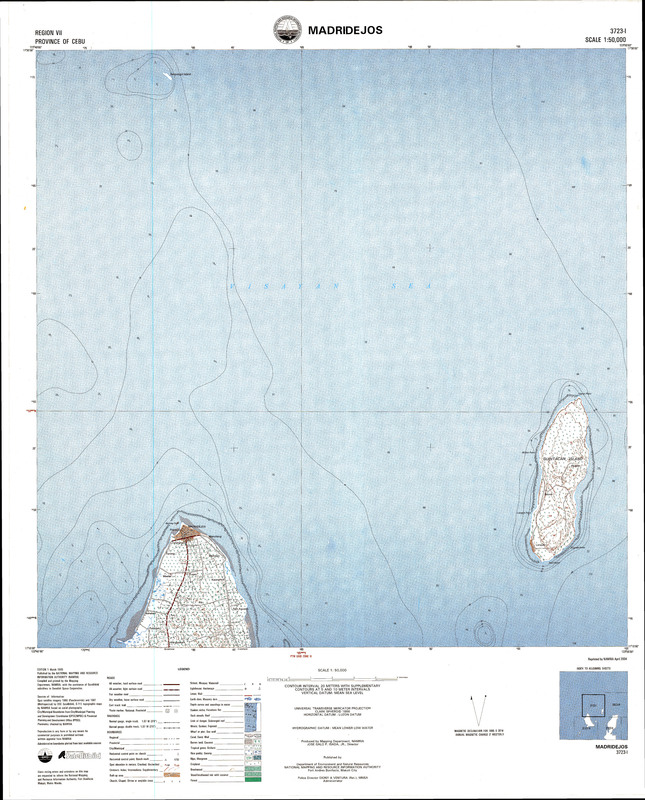 ^ a b The total area of BIWA [11,244.5 ha (27,785.8 acres)] includes coastal areas below the high water mark, as well as other islands. Construction of watchtowers was not limited to Bantayan, watchtowers were built in many locations in Cebu vulnerable to Moro raids, as well as in other parts of the Visayas, such as Southern Leyte, Northern Samar and Bohol. ^ a b As well as paying tribute, all male Filipinos from 18 to 50 were obliged to render forced labour called polo, for 40 days of the year, reduced in 1884 to 15 days. It took various forms, such as building of roads and bridges; construction of public buildings and churches; cutting timber in forests; working in shipyards; and serving in Spanish military expeditions. A person who rendered polo was called a polista. The members of the principalia were exempt from polo: in addition rich Filipinos could pay a falla to avoid forced labour – about seven pesos annually. Local officials (former and current governadorcillos, cabezas de barangay etc.) and schoolteachers were exempt by law because of their service to the state. Thus the only ones who rendered forced labour were those poor Filipinos lacking social, economic or political prestige in the community. This served to reinforce notions of the indignity of labour in the minds of the Hispanicised Filipinos: labour became the badge of plebeianism. ^ Similar collaboration by Emilio Aguinaldo saw him imprisoned after the war. ^ "Accordingly, in the past year of 1600 they came with a fleet of many vessels to the Pintados provinces, which are subject to your Majesty; and in the region known as Bantayan they burned the village and the church, killed many, and took captive more than eight hundred persons"
^ The 1902–1904 cholera epidemic claimed 200,000 lives in the Philippines. Yap Tico was a Chinese-owned trading company based in Manila. Although its nominal principal business was the import of rice, as an insurance company and general financial agency it featured in many civil law suits, most notably throughout the 1910s and 1920s, some of which set case law precedents, Lizarraga Hermanos vs. Yap Tico for example. ^ popularly known as the Gabaldon Act after its original author, Assemblyman Isauro Gabaldon. ^ The eye of the storm passed directly overhead around 0:00am on 24 November 1968. It didn't become a real Class‑1 typhoon until two days later. ^ Eye of storm passed overhead around midnight of 7 November 2013. At that time wind speeds were reaching 160 knots (300 km/h; 82 m/s; 180 mph). ^ Censuses of Population (1903–2007). Table 1. Population Enumerated in Various Censuses by Region: 1903 to 2007. NSO. ^ "Municipality of Bantayan published figures". Archived from the original on 5 May 2010. Retrieved 30 November 2012.
de Medina, Fray Juan (1630) . Historia de los sucesos de la orden de n. gran P. S. Agustin de estas islas Filipinas: desde que se descubrieron y se poblaron por los españoles, con las noticias memorables / compuesta por el venerable Fray Juan de Medina [History of the Augustinian Order in the Filipinas Islands] (scan) (in Spanish). Manila: Chofréy. OCLC 11769618. Page numbers 487–488 used twice. Department of Transport and Communication, Maritime Safety Services Command (2016). "Coast Guard District Central Visayas". Archived from the original on 23 March 2016. Galinato, Marita Ignacio; Moody, Keith & Piggin, Colin M. (1999). Upland Rice Weeds of South and Southeast Asia (PDF). Manila: IRRI. 'Chrysopogon aciculatus'. ISBN 978-9712201301. Archived (PDF) from the original on 31 December 2017.